What an event! 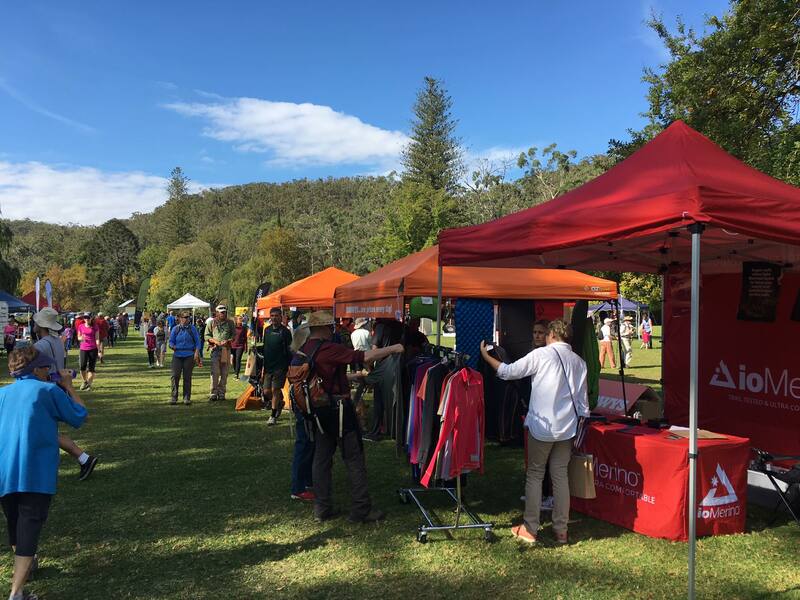 At yesterday’s Hiking Expo between 1,500 and 2,000 people attended and over 550 people enjoyed the free guided walks around Belair National Park. Our vision is to see more people walking more often, and yesterday we connected those people with new walking opportunities. We hope you found it as rewarding as we found in hosting the event! Last week we received the great news that we have received funding from the Office of Recreation and Sport to conduct Walktober – a month long celebration of walking this October. There will be a series of walking and hiking events (such as 2016’s Trails Less Travelled) and walking promotion throughout the month. Whether you walk for leisure, health or transport there will be something for you! Follow us on Facebook, Instagram, Twitter, subscribe to email news about events, or watch our website for updates in coming months. Support walking and Walking SA to see more great events like this. Walking SA is the peak body for all forms of walking in South Australia, our vision is to see more people walking more often. Support us with a membership from as little as $22 and together we can achieve that! 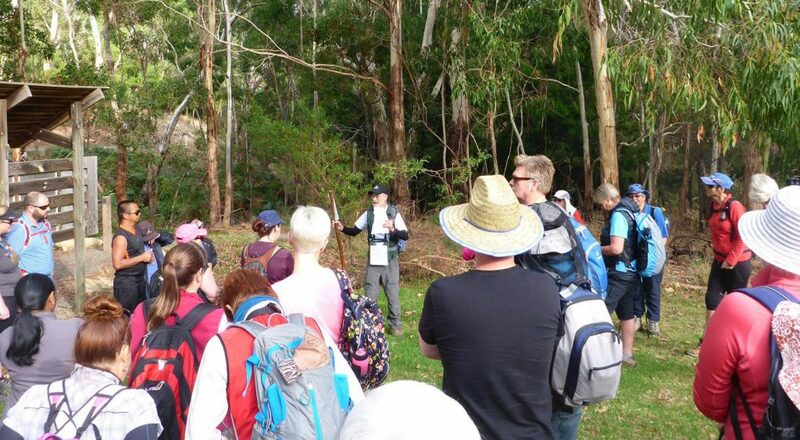 At yesterday’s Hiking Expo over 550 people enjoyed the free guided walks around Belair National Park. We know some people missed out on a walk or their preferred walk. We’ve updated our event webpage with the walk maps, so you can undertake the walk yourself. Please do note that most of these guided walks are walking routes, not walking trails, which means you will need to undertake the navigation yourself. Also some walk leaders may have modified the route during the walk to adapt to yesterday’s conditions. If you prefer to follow marked trails, read about that below. If you prefer to follow marked trails, check out the 8 walks around Belair National Park that are listed in our Find a Place to Walk directory. There are 400 walks in our Find a Place to Walk directory, so you find hikes that suit what you like. A big thanks to our volunteer walk leaders! All our wonderful walk leaders were volunteers from walking clubs and event partners. A big thanks to them all who guided everyone on the walks around the park. We’ve had so much great feedback about the walks! Find more details about walking clubs. Walking SA has been successful in receiving funding from the Office of Recreation and Sport for its Walktober 2017 initiative. This builds on the promotion and events we conducted throughout October 2016, including the key Trails Less Travelled event. We’ve got some great ideas to expand upon 2016’s initiatives to further meet our vision: to see more people walking more often. Please contact Walking SA to discuss opportunities as to how we might collaborate to promote walking in Walktober 2017. Walking SA has been working closely with the recently appointed Recreation SA Trails Officer in support of trail development in South Australia. The officer’s role included the finalisation and release of the upgraded Trails SA website. 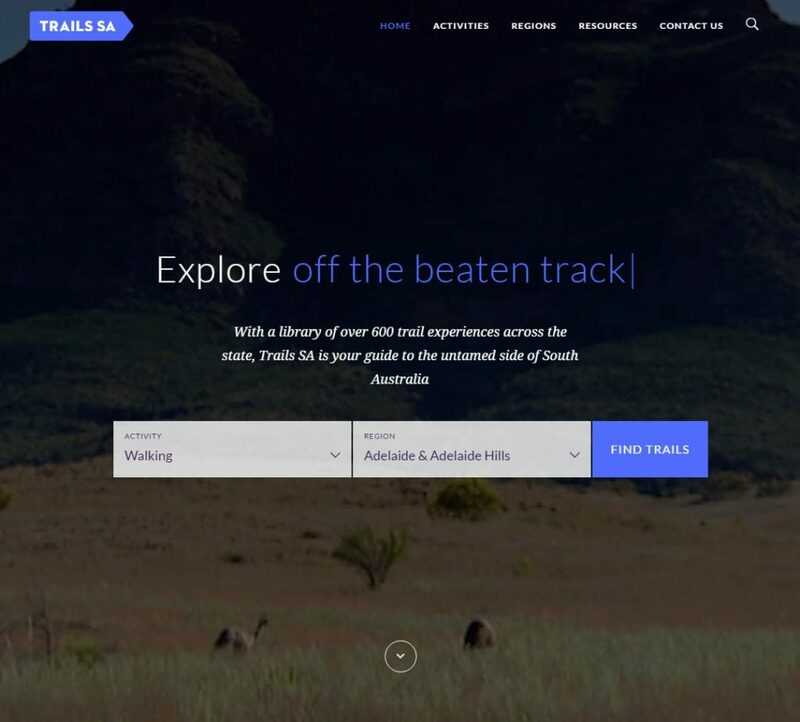 This website covers a variety of trails for walking, cycling, horse riding, scuba diving and canoeing.